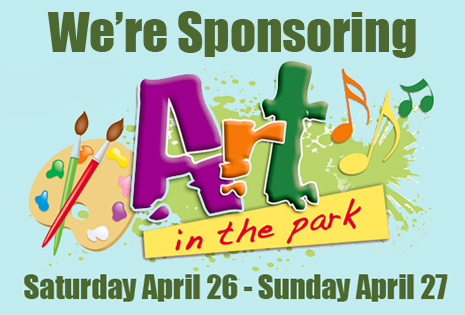 We’re sponsoring Art in the Park, an awesome event where local artists create paintings and photographs throughout Farragut’s parks and greenways. There will also be an Art for Kids event on Saturday from 1-3 at Campbell Station Park, just down the road from our Farragut location. Stop in afterwards for a special one-hour Kids Night, where Kids eat Free with the purchase of an adult meal, from 3-4 PM Saturday only! And Now Your Special Digital Deal! Looking to Entertain this Weekend? $2 Off a Baker’s Dozen OR Challah Loaf! Expires Tuesday, April 29 2015. Cannot be combined with other offers. No substitutions. Option of 13 bagels of your choice, or challah loaf. Must give 24 hours notice for challah loaf, or request one from our Friday bakes. Hosted by West Bicycles, the Cry Baby Bike Ride will benefit the Leukemia and Lymphoma Society. You can register here, and the first 50 riders who show up for 9:00 am registration on Saturday morning before the race will receive an Einstein Bros. Bagels wristband. Stop by our Farragut location after the ride, and turn those wristbands in for $1 off your purchase! Sunday, April 20 : Einstein Bros. Bagels is Closed! Sad but true, we will be closed Easter Sunday. In order to still enjoy Einstein’s all weekend, place your Bagel Bucket and Challah Loaf pre-orders by Friday, for pickup on Saturday. Call or stop on by either of our stores for assistance. We’re again sponsoring Art in the Park, an event where local photographers and artists create artwork outdoors in several iconic Farragut locations all weekend. The gallery of the created work will be held on Friday, May 9 at 7PM. Come out and enjoy the scenic side of Farragut! And Now, Your Special Digital Deal! Choose the Healthy Side, with $1 off Fruit Cups, Yogurt Parfait, or Greek Yogurt. Please present this to the cashier, or mention our blog’s Digital Deal. *Expires Tuesday, April 22. Cannot be combined with other offers. No substitutions. 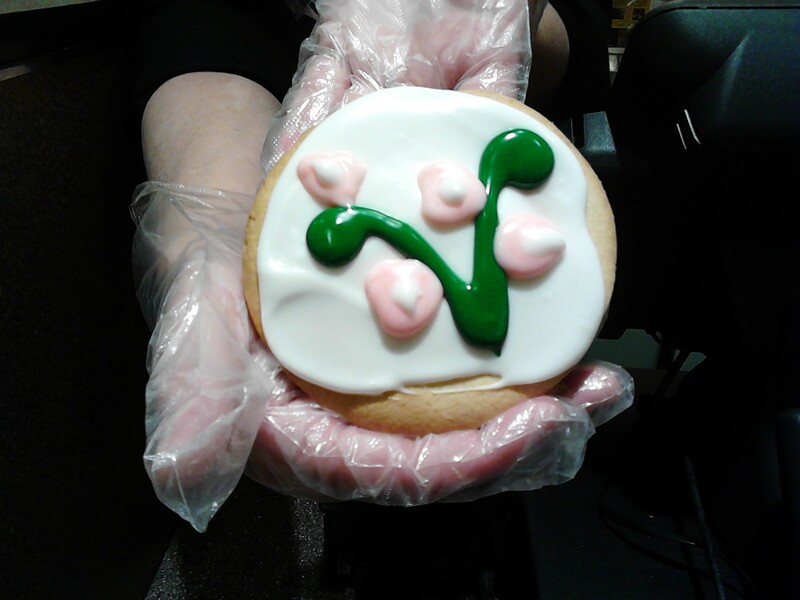 PreOrder Your Bagels for Easter Weekend, and Get a Free Cookie! 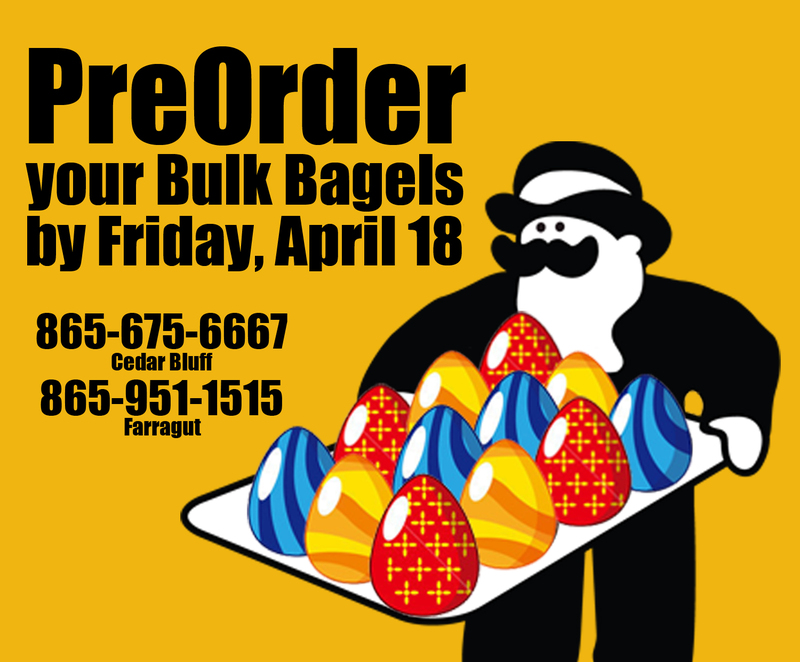 Both our Einstein Bros. Bagels locations will be closed on Easter Sunday, April 20, so be sure to place your pre-orders for bulk bagels and challah loafs by Friday for pick-up on Saturday. Empty Bowls is Thursday, April 17, 6-8 PM. Tickets are $15 and limited, so if you’d like to be a part of this wonderful event and take home a beautiful handmade bowl, please contact Wendie Love at wendie.love@knoxschools.org. And Now, Your Digital Deal! Beyond our weekday Happy Hour from 3-5 PM, where All Drinks are Half Off, and Kids Night from 6-8 PM, where Kids Eat Free with the purchase of an adult meal, please enjoy this Easter deal! When you pre-order either a Bagel Bucket (a dozen bagels and two tubs of cream cheese) or a Challah Loaf for this upcoming Easter weekend, get a FREE Springtime Sugar Cookie when you pick up your order on Saturday! *You must place your pre-order by Friday, April 18 to receive this deal. Offer expires Friday, April 18. Please mention this offer when placing your pre-order. Looking for an awesome weeknight hangout? Einstein Bros. Bagels is the place to be! Every Monday through Friday, join us for Happy Hour from 3 -5 PM, where all drinks are half off. We’ve got your dinner covered too, with Kids Nights from 6 -8 PM, where kids eat free with the purchase of an adult meal. We also have an amazing event coming up – Empty Bowls, a charity event where a simple meal of soup and bread is served in a handmade ceramic bowl. In purchasing a $15 ticket to the event, guests get to take home the bowl they ate out of, as a reminder of all the empty bowls in the world. All money raised will be donated to the Fish Pantries. 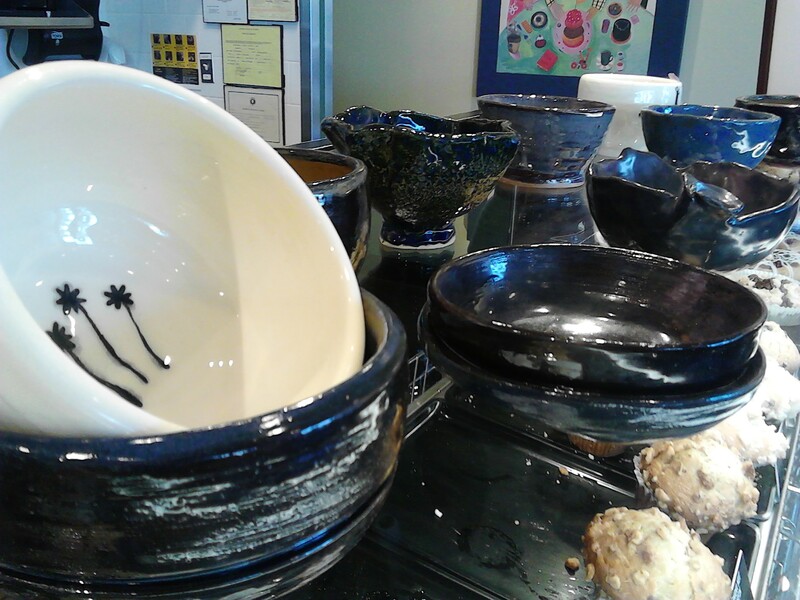 Empty Bowls will take place at our Farragut location from 6-8 PM on Thursday, April 17. Tickets may be purchased in advance through Wendie Love at wendielove@yahoo.com. Both Einstein Bros. and the Farragut High School National Art Honor Society invite you to be a part of this wonderful event. Your Special for the Week! Now through April 9, Buy One Pizza Bagel, and Get the Second Half Off! Make a lunch date and enjoy the beautiful weather on our outdoor patios. Just mention this post to receive your discount.